The MP for Peterborough has apologised to constituents in Peterborough for not replying promptly to some of their concerns. 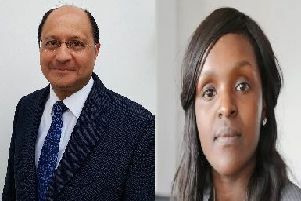 Ms Onasanya said she has recently recruited three new members of staff, but that one individual has been waiting nearly three months for security clearance. She added: “If people feel they can’t reach me or get hold of me it’s not intentional at all. I don’t think people understand that you are starting with nothing as a new MP. I know from speaking to constituents they thought I would be going into Mr Jackson’s office but you don’t. Ms Onasanya, who has been meeting constituents on Thursdays and Fridays, was speaking to the PT in between answering some 800 plus unanswered emails. She also had to interrupt the interview at one point to answer the phone as she was the only person around. The full interview is in today’s Peterborough Telegraph and will appear online at a later date.